 A chorus of adulatory voices sings the praises of the late Nobel Prize-winning physicist, but fortunately the voice that rings loudest and clearest is Feynman's. Popularizers of the scientist's life are quick to mention the pleasure he derived from and the competence he displayed on the bongos, but he never beat the drum for his genius the way the myth- makers here do. Hardly a discouraging word is heard from the colleagues (Hans Bethe, Freeman Dyson, Murray Gell-Mann), the family (sister Joan, grateful for his encouragement of her own Ph.D. pursuits, wife Gweneth, and their children), the artists and sidekicks, the friends and barkeepers. 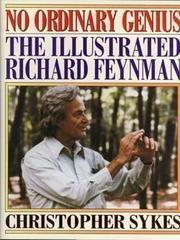 None of them are nearly as interesting as Feynman's own descriptions of his life and work. Particularly noteworthy is his account of how he mastered hard subjects as a boy by reading into the text as far as he could go, then rereading and rereading so he could go farther each time. In another striking passage he describes how he visualizes the world of jiggling atoms and how the jiggles explain phenomena as varied as heat and magnetism. These moments illuminate Feynman's remarkable intuition about how the world works. Math in the abstract did not appeal; what he did was invent the math needed to get the physics right. All of this should be extraordinarily interesting to educators, psychologists, and historians of science, since it provides key insights into the mind of the man who invented the famous F. diagrams but whose curiosity also turned to computers, the invention of the world's smallest motors, and the study of art. Colleagues provide additional reflections, and the recreational and travel tales are the stuff of myth. (Filmmaker Sykes has made two documentaries about Feynman.) But the real meat--and the book's worth--resides in the master's words.